Accessing to Honda key/immobilizer codes require the employee’s personal information to be entered in order to maintain accountability and ensure personal responsibility. To calculate PCM access codes for Honda vehicles (Honda Insight, Civic, Accord, Prelude, S2000, CR-V, Odyssey, Pilot, Element, Ridgeline, Fit and others…) you need to know last 5 digits of VIN (Vehicle Identification Number). 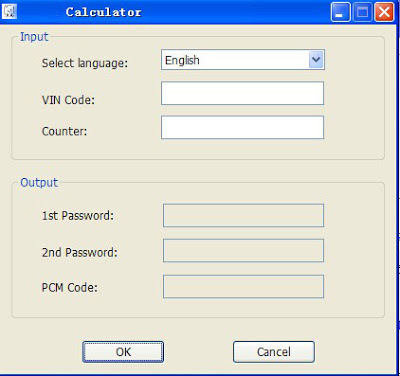 No need to install HDS IMMO PCM code calculator, directly run and use. Connect the USB Dongle when you calculate the PCM Code. Keep down VIN number, PCM code etc on paper. 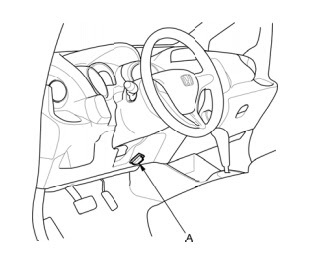 1)Connect Honda HDS device into the OBD port located under the dashboard on driver’s side. 3) Ensure your HDS HIM is well communicated with the ECM/PCM and other vehicle systems. 6) Select “ETCS TEST” and then select “TP POSITION CHECK”. Follow the screen prompts. If fail to select TP POSITION CHECK, repeat the procedure. 7) Select “REPLACE ECM/PCM MENU” and then select “READ DATA”, and follow the screen prompts. The procedure will read the engine oil life data from the original ECM/PCM. If fail to read data, repeat the procedure. You are able to download (WRITES) it into the new ECM/PCM. 9) Select “REPLACE TCM/PCM MENU”, then select “READ DATA”. Follow the screen prompts. Ignore SCS line. 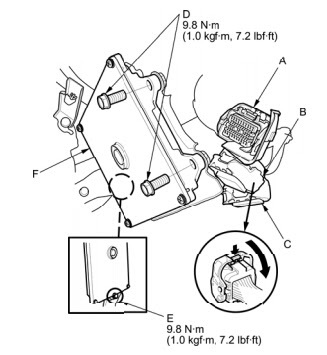 12)Remove the battery holder (B) and put it away from ECM/PCM. 14) Disconnect ECM/PCM connectors A, B, and C, then remove the ECM/PCM (F). 17) Enter the VIN which already actually calculated by HDS IMMO VIN Code calculator to ECM/PCM. 23) Manually enter the immobilizer ECM/PCM code that you got previously, and use the ECM/PCM replacement procedure in the HDS; it allows you to start the engine. 25) If the system fails to READ DATA or WRITE DATA, replace the engine oil and the engine oil filter. 26) Select the PGM-FI system, and reset the ECM/PCM with the HDS. 27) Update the ECM/PCM if it does not have the latest software. 28) Do the ECM/PCM idle learn procedure. 29) Do the CKP pattern learn procedure.